Every woman has her own secrets and sometimes no one knows about them. Why do some people regularly exercise at the gym while others workout at home? The most likely reasons for this is the desire to always be beautiful and fit. It is no secret that with age a serious restructuring of the female body, which adversely affects the figure, takes place.,.The belly bulging after 40 leads to the despair of some women A bulging body is one of the first signs of middle age. Working hard, which leaves little time for exercising, and many high calorie dishes is the cause of increased fat in the abdominal area of the body. How can women over 40 save their figure and tighten the stomach? 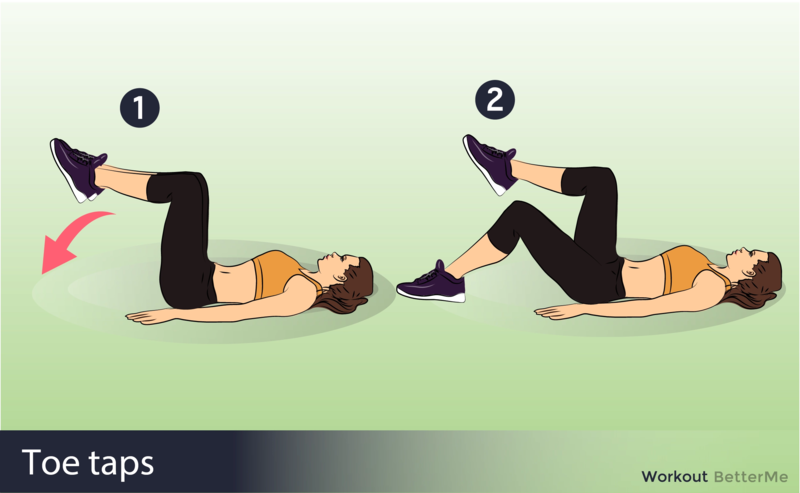 If you perform this ten-minute ab workout at home you will tighten your abdominal muscles and will be able to wear skinny jeans without hesitation. The workout is: Flutter kicks, Reaching oblique crunch, Pilates side hip raise (45 second each side), Russian twists, Pilates leg pull (facing down), Pilates leg pull (facing up), Pilates toe tap and Knee tuck crunches. 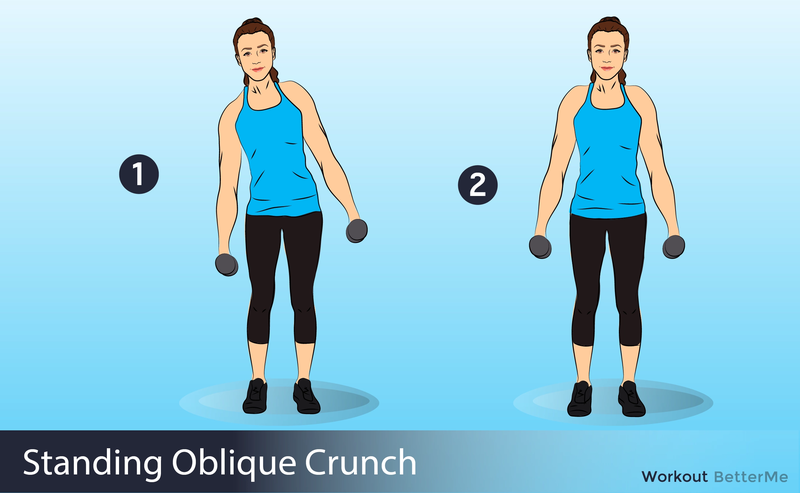 Perform each exercise for forty-five seconds and you will spend no more than ten minute for the whole workout. However, do not be surprised if the stomach grows despite physical exercise. This will happen because you continue to eat anything and everything. To make the skin more firma diet needs to be enriched with vitamins and minerals. Add fruits and vegetables to your meals. Receiving vitamins A, E, C, magnesium and selenium your skin will begin to produce collagen more actively and become firmer.